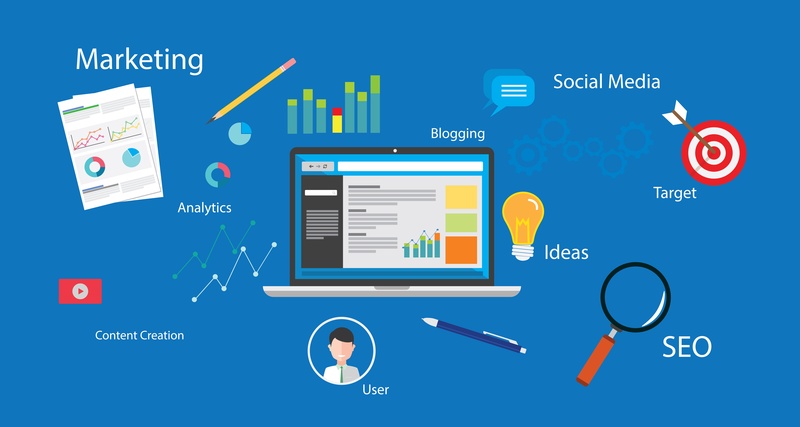 Inbound marketing is a methodology that is quickly growing throughout the marketing world and is becoming a popular format for growing businesses. However, there are still some areas of confusion for inbound beginners that may create doubt. Here are some common inbound myths that we’d like to set straight. Though inbound marketing has proven to be more cost effective than outbound marketing in the long-run, you should keep in mind that there are still initial costs that can add-up depending on your situation. Because inbound marketing is digitally-focused, creating and maintaining platforms for content can prove to be costly if they need to be created from scratch or completely revamped. When determining if inbound marketing is right for you, consider the costs that you may incur from items such as web-development and labor for content creation. On the contrary, both sales and marketing rely on each other in the inbound process. "Smarketing", a term defined by HubSpot, details an alignment between sales and marketing. According to HubSpot, “Companies with strong sales and marketing alignment get 20% annual revenue growth.” The idea is that both sides of the coin have information that is pertinent to the other, and when shared, each gain in their perspective fields for a more unified environment. What is unique about the inbound process is that you can very thoroughly follow leads as they go through the sales funnel. Using the system of attracting, converting, closing and engaging customers, you will gain insight into your company’s strengths and weaknesses. Within each section, there are opportunities to track effectiveness and measure campaign success. Ultimately, you will find information on ROI when considering clients that have gone all the way through the marketing funnel. As mentioned before, each part in the funnel is essential to the inbound marketing process. Each step will bring your company closer to a happy customer, and no one step is ignored. Though having a lot of traffic on your site is important, if that traffic does not convert to leads, it is basically ineffective. Again, the end goal of the inbound process is to gain a happy customer, and merely having heavy web traffic does not guarantee that you will be successful in gaining one. Instead, focus on indicators such as clicks and conversion rates. Consistently blogging will help provide valuable content, and will more than likely improve your company’s SEO, but without any other platform use, it does not really improve movement through the sales funnel. A full inbound campaign will also include items such as calls-to-action, landing pages, email marketing and the use of social media. When a full campaign is embraced, movement in the funnel will increase. Again, utilizing a complete campaign will better set you for successfully completing your goals. In most cases, you will still need to make use of traditional marketing tools such as a company website and in-person networking in order to be fully lucrative. It’s not that you’re using social media that will gain viewers trust; it’s what you are sharing on your social media that will. If you prove that you are knowledgeable and a true thought-leader in the industry, customers will trust that they can rely on your information. Simply sharing posts from other thought-leaders will not do the trick. Like with anything else, being well-organized and planning ahead will do you wonders. There are tools such as HubSpot for social media and blogging organization, and creating an editorial calendar will help in effectively planning ahead. Because you can plan and write posts ahead of time, you will save a lot more time than if you had done them each individually. Let’s face it, in this economy people appreciate anything that is free or discounted. Allowing customers to “try” your company out will help them gain trust, and really see how your products/services can help. Once they realize how great your products/services are, they will appreciate the great deal you provided for them. So there they are; ten myths that have hung around the inbound world like a ghost. I hope you gained some helpful insight from this debunking and have a clearer understanding of the inbound marketing process. Feel free to contact us with any questions that you may have sticking around!